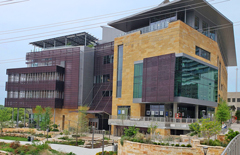 As planning ramped-up for Austin Public Library’s new state-of-the-art Central location, the Library needed a partner they could rely on for self-service solutions. Upon careful consideration of their options, Austin selected EnvisionWare as a trusted vendor partner. Austin is a growing and creative city. The Central Library and 20 branch locations draw over 600,000 users from around the community. From author events, musical performances and cooking demonstrations to creative writing camps and workshops, the Library is a creative and cultural hub for people of all ages. EnvisionWare self-service solutions include PC Reservation® and LPT:One™, EnvisionWare’s computer and print management solutions, as well as MobilePrint Service™ for remote patron printing and printing with personal devices in the library. When it comes to document management, it’s hard to beat EnvisionWare’s Library Document Station™ for versatility, size and performance. Watch this brief overview video and find out why libraries are choosing this self-service solution for scanning, copying and faxing. EnvisionWare’s Coin/Bill Acceptor (CBA™) is now available with exclusive, network-ready features designed to streamline reporting and deliver easier administration and setup as well as predictive maintenance. Join Dr. Ron Heezen of Las Vegas-Clark County Public Library (NV) and Nick O’Neal of Kirkwood Public Library (MO) for an informational webcast on Leveraging Technology to Build Strong Communities. Speakers will share insights and best practice examples on how technology has enabled their library to have an impact on individuals and organizations within their communities.